Announcement: Screenshot Contest Winners Announced! Announcement: See you in the dream. Announcement: Meeting with Northern Alliance, again. Announcement: New Groups Coming to the Pack! Announcement: PACK ATTACK LAST NIGHT!! 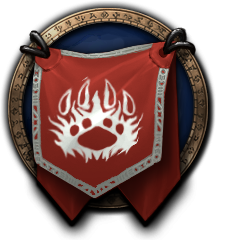 Announcement: [RP] Gilneas, or bust! Announcement: [RP] Gilneas, or bust! Part Two! Announcement: Summer Coming to An End. Announcement: Päck Wall of Quotes. Announcement: Dargo Dressed for the Call? Announcement: Allei Hears the Call. Announcement: The Call is Heard. Announcement: Beta, and Elder meeting. Announcement: Päck Vent Donations Report! Announcement: Happy 1 Year Anniversary <The Päck>! Announcement: By Blood Be Bound. Announcement: Blast from the Past. Announcement: A video for Lulabella. Announcement: May Lulabella Rest in Peace. Announcement: The Loss of a Päck member. Announcement: Pages of the Past. Announcement: The Dreadfang's want you!! Announcement: Al'akir's winds blow no more!!! Announcement: Why is the news gone? Announcement: A Päck Video made by Zephyr! Announcement: In regards to having our achievements taken away. Announcement: Päck Quotes 2 !! Announcement: Thank you for the donations! Announcement: The Jim Foxx detective squad turned up some evidence! Announcement: The Packs PVP event! First Night of Legion A Success!